One of the true aims of education is for our children to have financial security. How do we teach those values, habits, and skills that they need to hit their target? 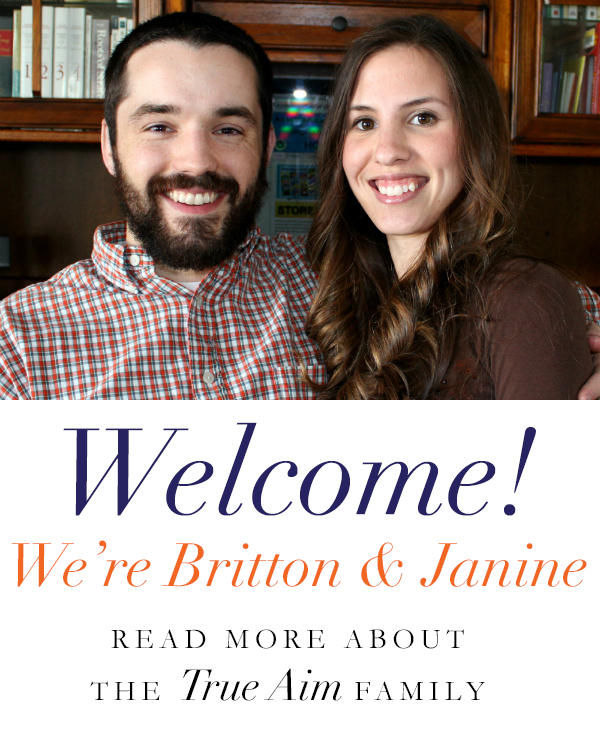 Recently, launched site, Ballooning Nest Eggs, helps you do just that. Like this educational apps for kids post, it is full of practical, yet “out of the nest” ideas for families to grow youngsters’ wealth and encourage them to dive into investing, entrepreneurship, charitable giving and economics. It brings much-needed fun and imagination to these topics, making them relevant to kids’ lives (as well as yours). The current site represents the first phase of many exciting things to come. It is my pleasure to welcome them as my first guest. If you’re like me, you constantly harp on the fact that you can’t afford to buy every little thing your children want, and that they need to save their allowance for it. Now there are plenty of calculator and allowance apps to help you get your point across. Those may be useful for parents, but we wanted to find some fun game apps that will excite kids about money and savings goals, entrepreneurship, and social responsibility — and maybe even stir them to make a difference in the world. Before we get to our favorite apps, I feel compelled to mention Owen Voorhees, age 11, of Hinsdale, IL, who created a best-selling app for the iPhone called Math Time — essentially digital flash cards to reinforce basic arithmetic. His achievement is in the spirit of the Ballooning Nest Eggs’ mission to inspire entrepreneurship in kids, and hopefully it can motivate another entrepreneurial child. 1. 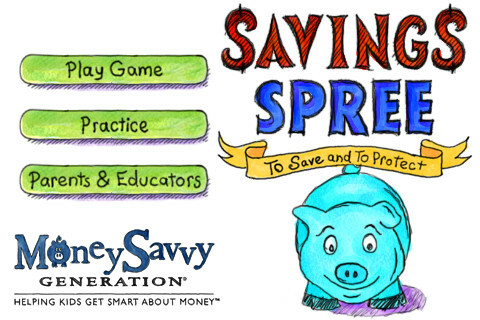 Savings Spree (ages 5+) This award-winning app is worth every penny and our team’s favorite. (One of my boys raved about it to another mom and encouraged her to download it for her daughter.) In this game, kids can discover: the difference between each type of saving and spending goals, how to earn money at a job, why it’s important to have a rainy day fund for unexpected expenses, how to avoid spending on impulse purchases, how to build wealthy habits by making good financial decisions, and that kids can be entrepreneurs. The player gets rewarded or penalized with “dollars” and it tracks his or her ongoing balance through each round. The goal is to build the biggest nest egg by the end of the game. 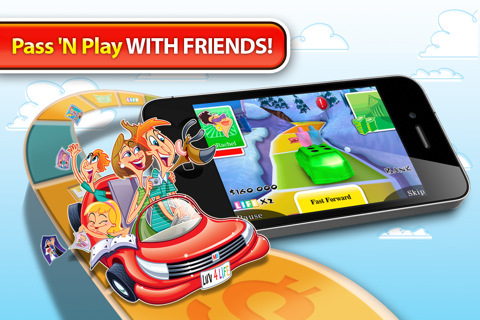 It does this with cute graphics and fun activities. It even instills productivity in kids and demonstrates the “time is money” concept because the more cupcakes they frost in 60 seconds, the more they get paid! 2. Game of Life (ages 5+) This is an updated app version of the old board game that I played (and loved) as a kid. My 8-year old kids tell me it’s still fun. We loved the graphics and the spinner used to roll for moves. 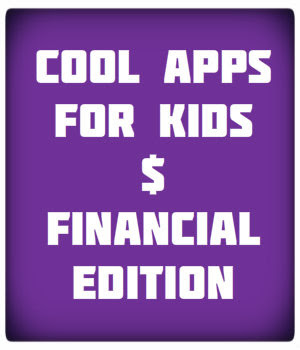 The game helps kids understand the value of good financial decisions, budgeting, and savings. Although the costs of big-ticket items are lower in the game than those in reality, it gave my kids an idea of what college and a house cost and some of the enormous expenses that they can anticipate in life. If you’re game, you can try explaining how inflation will cause those life essentials to cost significantly more in 10 years. 3. Bee Farming (ages 10+) This game fosters entrepreneurship and skills like managing money and a business successfully. Basically the player starts a bee farming business with only three swarms of bees and $100 cash. 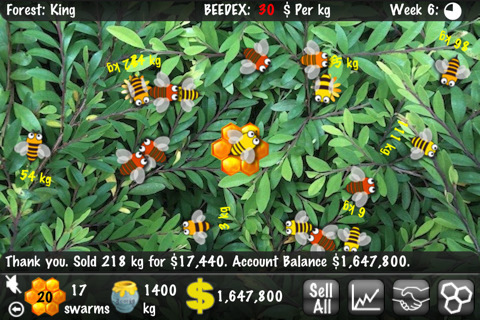 The player has to gather the nectar to produce honey and sell it in the BEEDEX honey market. Then he or she goes to the Farmer’s Co-op to purchase bees and other supplies. There’s only 10 weeks to run the business, and if it earns more than $500,000, it makes the Farmer’s World Records. As part of the game, the child allocates money and resources to afford supplies, and watches the market prices to know when to sell the honey for maximum profits. The graphics are beautiful, but it is important to read the instructions first because there’s a lot to keep track of. This can be a complicated game for younger kids, so I’d recommend it for kids aged 10 and up. But once you get the hang of it, it’s pretty fun. 4. 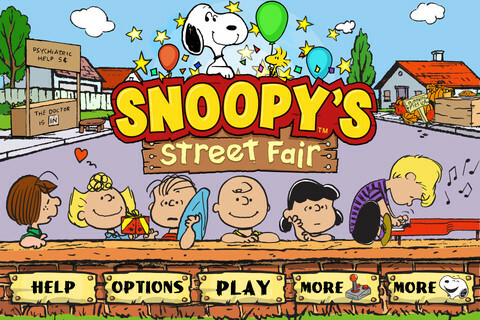 Snoopy’s Street Fair – The app is free, but it costs money to purchase specific in-app features. (ages 7+) This game inspires entrepreneurship and budgeting by helping Snoopy, Charlie Brown and the rest of the Peanuts gang build and organize a street fair to raise money for baseball uniforms. Depending on the level of the game and how much money your child has earned, he or she can purchase additional stalls, attractions and decorations. The player decides if something is worth investing in and he or she can even maximize profits. Kids can also participate in Snoopy’s mini-games to earn extra points and fulfill some of the requirements on the “To Do” list. Although it lacks instructions, our kids figured it out and didn’t want to stop playing. My 8-year old son reached Level 8 and has built a successful enterprise, while I’m stuck on Level 4. 1. 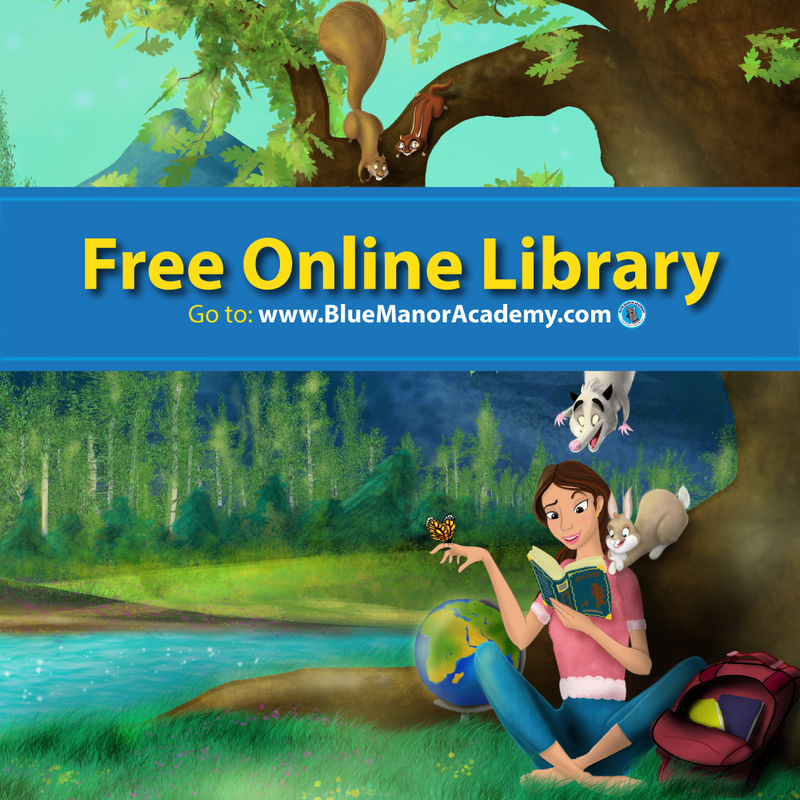 Kids Money – free – This is a simple savings calculator toward a goal. Slide the lever to set the goal and the weekly income (allowance) and it tracks how many weeks it will take for your child to achieve the goal. It is very difficult to set the levers at exact numbers. 2. Allowance – $3.99 – This is a simple allowance and savings tracker. It’s easy to input the weekly allowance and then it tracks the total savings and expenditures. This app has a feature that reminds busy moms to pay allowance. It also gives a fun fact or advice. 3. P2K Money – free – What makes this allowance and savings tracker special is it has a budget feature. Although it’s not an app, Freerice is my favorite online game because it combines educational games with charitable giving. Here your child can select the subject he or she wants to practice and it will serve up questions (elementary school to high school levels). For every correct answer, the site donates 10 grains of rice through the World Food Program to help end hunger. It includes a graphic that shows the bowl filling up with rice as you answer correctly, so your child immediately sees the impact and gets excited about helping. I recommended this site to my sons’ third grade teachers as a way for the kids to practice their multiplication tables and do good at the same time. It looks like Freerice is raising “rice” to create an app, so we’d encourage you to donate. If you liked this post, please visit Ballooning Nest Eggs for more ideas on how to develop healthy financial habits in your children. What apps inspire your children? Please list your favorite in a comment below! 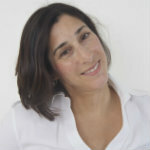 Dorothy Frank is the Mother of twin boys and the Social Media Director and Contributing Writer for Ballooning Nest Eggs. She earned her BA in Theater from Cornell University. She is most proud of getting a law passed in NJ allowing parents of multiples the choice in classroom placement. If you liked this post, Please consider Liking us on Facebook or Subscribe by Email. Thank you for your support! Want to give your kids a head start? Check out our Preschool Curriculum! Why Teach Toddlers to Type? « Get your kids to behave with this simple tip! Hi Dorothy, thank you so much for sharing us! We’re a small team, that relies entirely on word-of-mouth. And so far, together we’ve managed to raised enough to feed over 5 million people… so your help is greatly appreciated! Thanks for all you do! Those are great resources, I can’t wait to use them with my children. i never realized that they even had apps like this! thanks so much for linking this up to tip-toe thru tuesday! These are great ideas–my daughter loves the Game of Life…we’ll have to check out the others! Thanks so much for sharing at Teach Me Tuesday!! Hi Carla, it is a fun game. Thanks for stopping by. Thanks for such a great reference sheet of apps.. I am using our i-touch more and more in our homeschooling (thinking I need to save up for an i-pad at this point). I pinned this list to my homeschooling board for later use. I am using mine more too! It is so easy for young children to use. Thanks for pinning! What a great list of resources. Thank you for sharing at Sharing Saturday!! I hope you are having an amazing week! This is great! I am always looking for new apps for my son. Thanks for sharing at the Pomp Party! Pinning to our Pomp Party board! This is great info. It’s so important to teach our children proper monetary habits. Thank you for sharing with The Sunday Showcase.